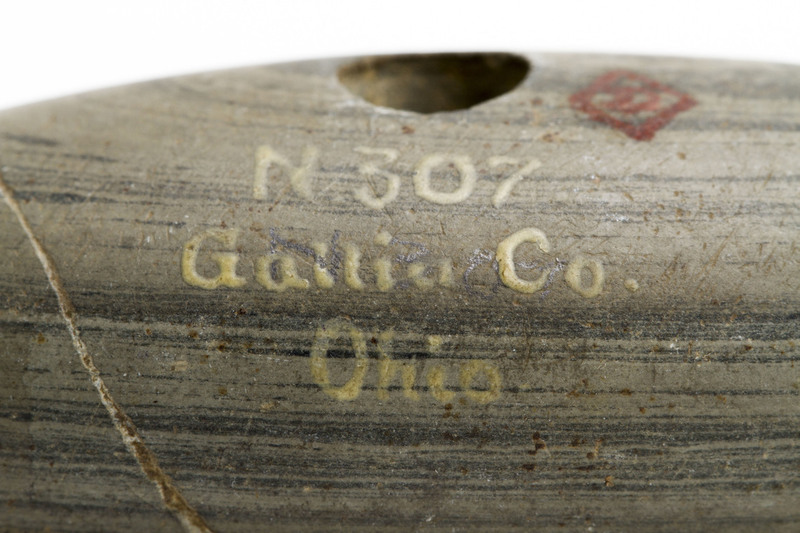 Gallia County, Ohio. 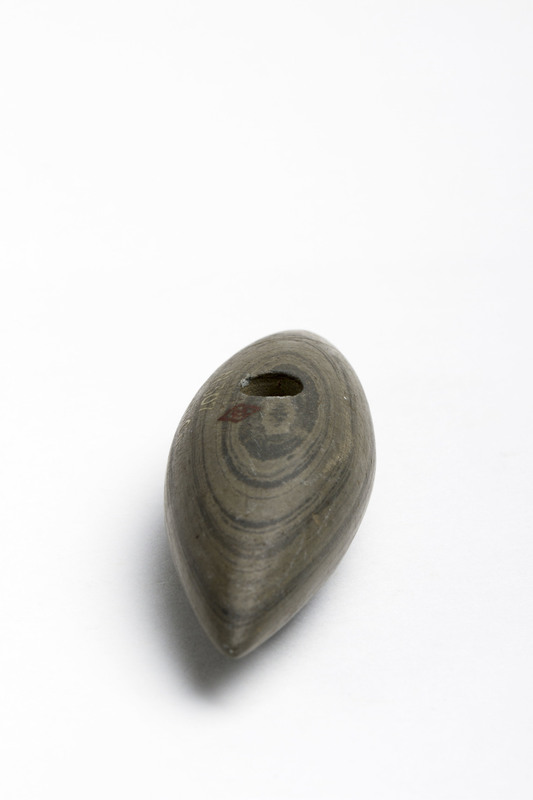 Donor A.E. 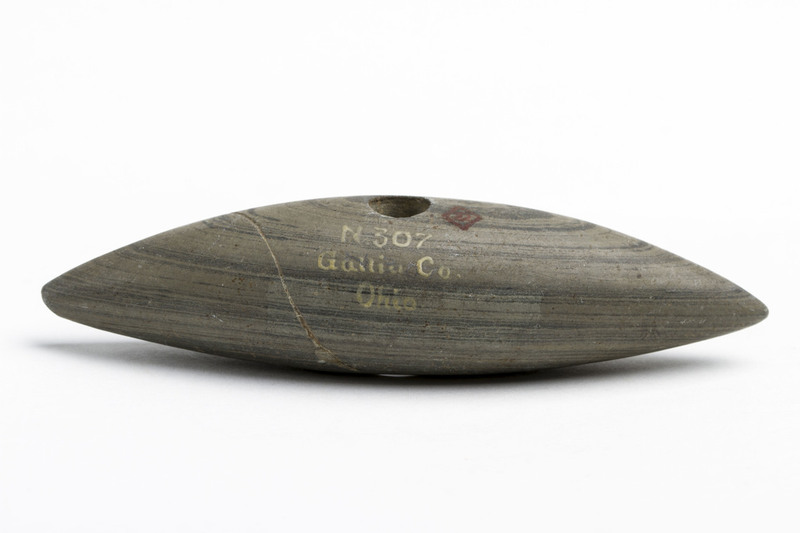 Douglass, purchased from M. F. Savage on December 12th, 1888 for $2.00. 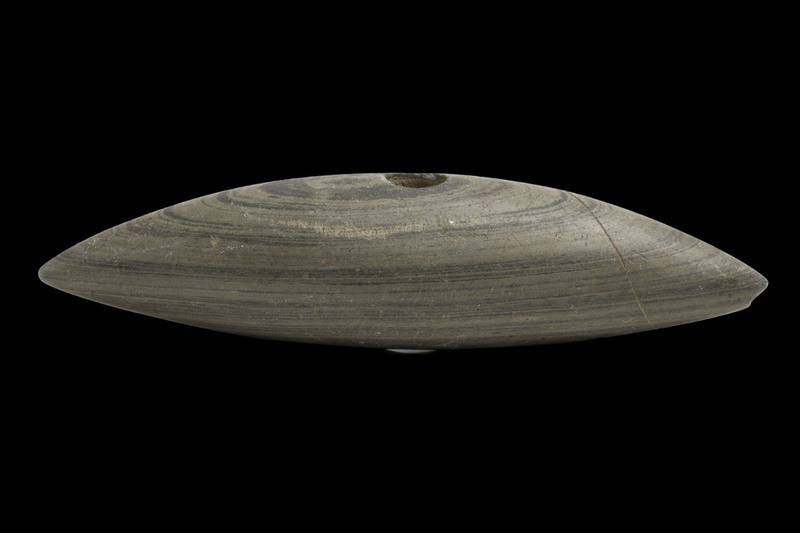 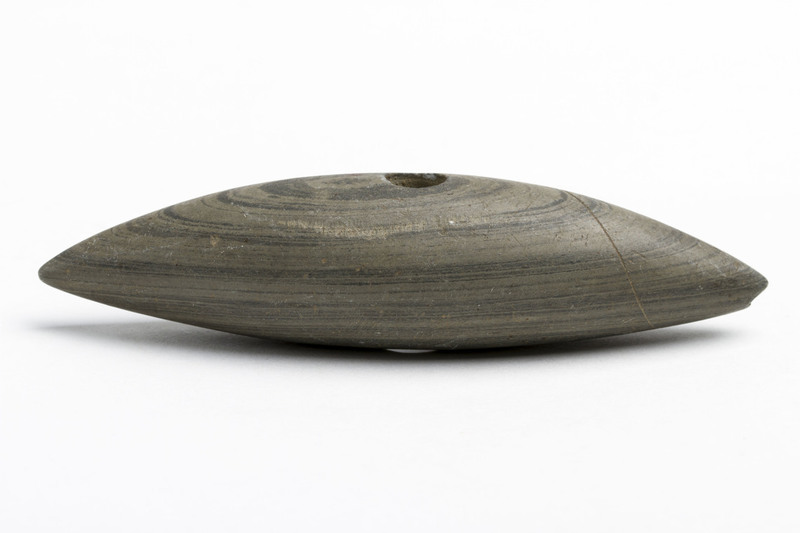 This Pick shaped bannerstone is carved in alignment with the natural banding of the stone on both sides. 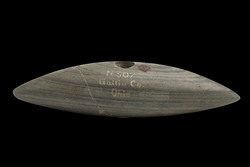 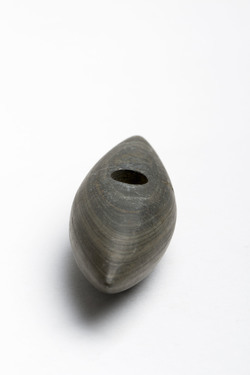 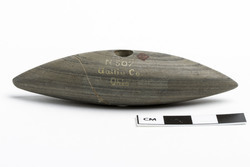 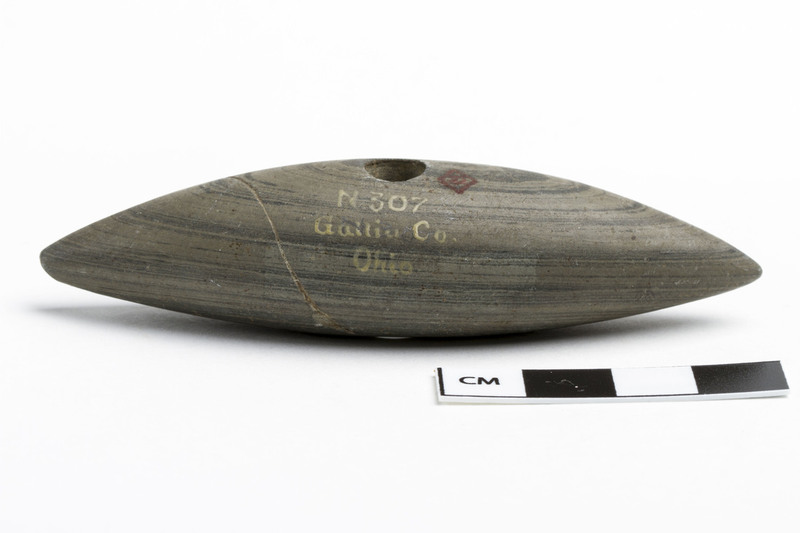 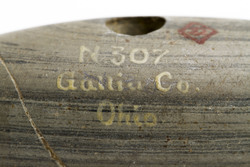 “AMNH DN/307,” FIT Archaic Bannerstone Project, accessed April 25, 2019, https://bannerstone.fitnyc.edu/items/show/116.